Situated just 15 to 20 minutes outside of Geneva, this little hidden secret spot is definitely fit for being your next weekend getaway. Before checking in at the Mandarin Oriental in the middle of the city, I was ready to explore the countryside and experience a real Relais&Chateaux property as you can only dream of. I had a look on Google Maps and thought that the Domaine de Chateauvieux must be in the urban area of Geneva with lots of industry around. In fact I was taught the complete opposite: I was driving always smaller and narrower roads until a sign indicated the hotels name. Located on top of a hill with wine fields all around, this property already caught my breath. I took my luggage and looked for the front desk which was just next to their Michelin-starred restaurant. The kind lady checked me in and showed me the way to my Suite. I have to admit that I already had a certain expectation to get a nice room as it is such a small and lovely hotel, where the management really cars about its guests. So I have been upgraded in their biggest suite: A Duplex Suite, so big that I had to "wow" more than twice. With an open fire place, a super comfy sofa, a cozy bathroom plus a jacuzzi in a separate room as well as a window overlooking the Rhône river on the ground floor in addition to a double bed in the semi-private living room next to a private bedroom with another king bed. The minibar was perfectly stocked and they offered free cake and homemade chocolate for turn-down service. I have to admit that the suite was flawless and absolutely clean in each and every corner. 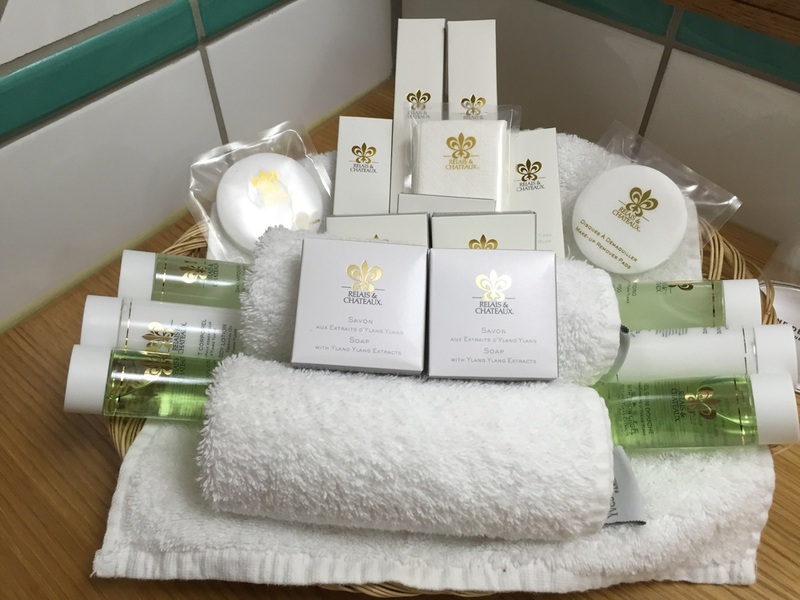 I was even fine with the Relais&Chateaux branded toiletries (no brand) although I am not the biggest fan of such products. Back to the important facts: I loved the bed and the many pillows were just gorgeous! I felt like in heaven and did not want to get up. Unfortunately I was just here for just one night and therefore I had to get out of heaven. Did I regret it? 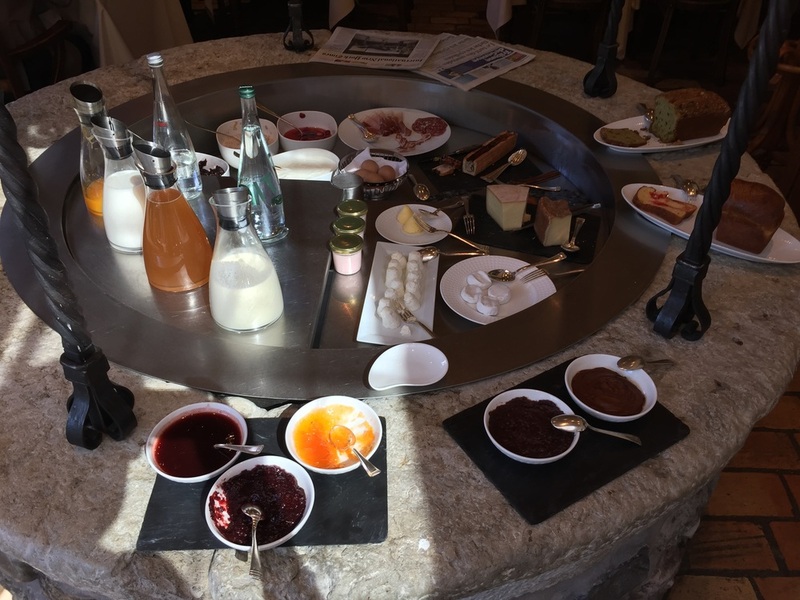 No way, breakfast was outrageous: A very small and selective buffet but the best salmon I ever had for breakfast, extremely good coffee, fresh orange juice, excellent egg dishes, wonderful yoghurts as well as the best jams - of course homemade by the chef. Service again, very good and attentive. All in all I would say that they really come up to the highest expectations and even convinced me, being probably even more discerning than our boss Daniel ;-). 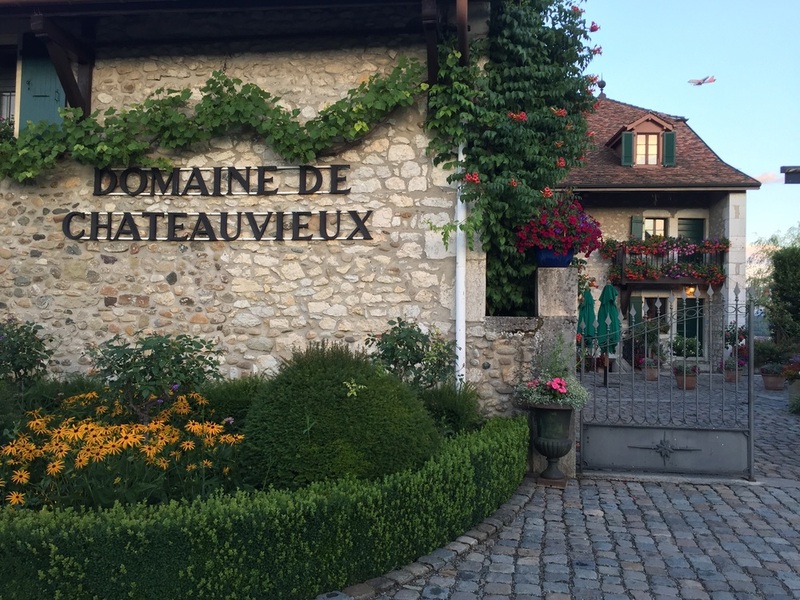 I had a truly lovely time at Domaine the Chateauvieux and can highly recommend this place. At daily rates of around 200-300 Swiss Francs per night, this is probably the best deal to stay in and around Geneva. If you bring good weather you will be treated with a spectacular landscape and gorgeous views. We loved the view as the total hotel. I was guest of Domaine de Chateauvieux for editorial purposes for Luxury Executive and did not pay for my stay. However all above written expresses our own opinion and has not been influenced.